In medium microwavable bowl, microwave butterscotch chips on High 1 minute, stirring twice, until melted and smooth. Stir in peanut butter until smooth. Drizzle over cream cheese mixture. 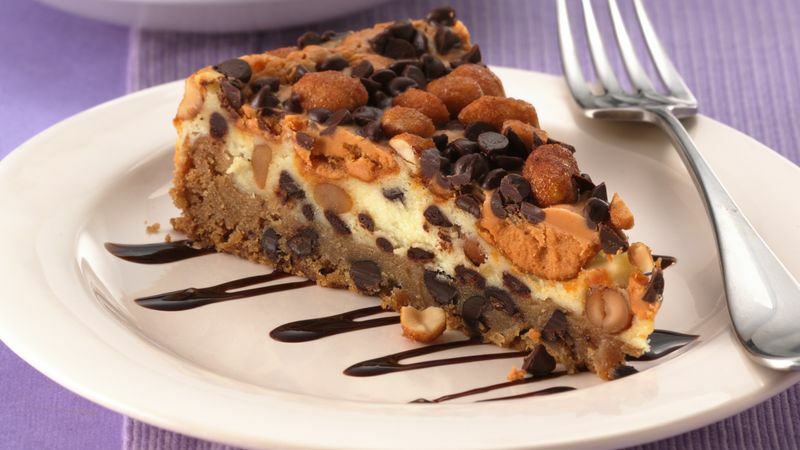 Sprinkle with remaining chocolate chips and peanuts.